Sqlmap v.0.9 - automatic SQL injection and database takeover tool ! * Rewritten SQL injection detection engine (Bernardo and Miroslav). SQL injection, -d switch (Bernardo and Miroslav). error-based SQL injection techniques (Bernardo and Miroslav). * Implemented support for SQLite 2 and 3 (Bernardo and Miroslav). * Implemented support for Firebird (Bernardo and Miroslav). crack them with a dictionary-based attack (Miroslav). * Added support to enumerate roles on Oracle, --roles switch (Bernardo). * Added support for SOAP based web services requests (Bernardo). * Added support to fetch unicode data (Bernardo and Miroslav). of SQL injections (Bernardo and Miroslav). * Support to test and inject against HTTP Referer header (Miroslav). * Support for customizable HTTP(s) redirections (Bernardo). in a local SQLite 3 database, --replicate switch (Miroslav). 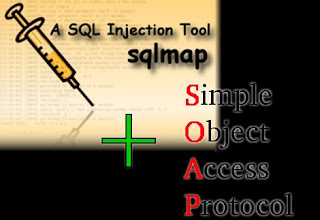 to mark where to test for and exploit SQL injection (Miroslav). * Added safe URL feature, --safe-url and --safe-freq (Miroslav). * Implemented few other features and switches (Bernardo and Miroslav). * Over 100 bugs fixed (Bernardo and Miroslav). * Major code refactoring (Bernardo and Miroslav). * User's manual updated (Bernardo).